Simons Studios designed the cover of LaKeacha Jett’s book. It’s now available for purchase at Egregious Acts on Amazon . 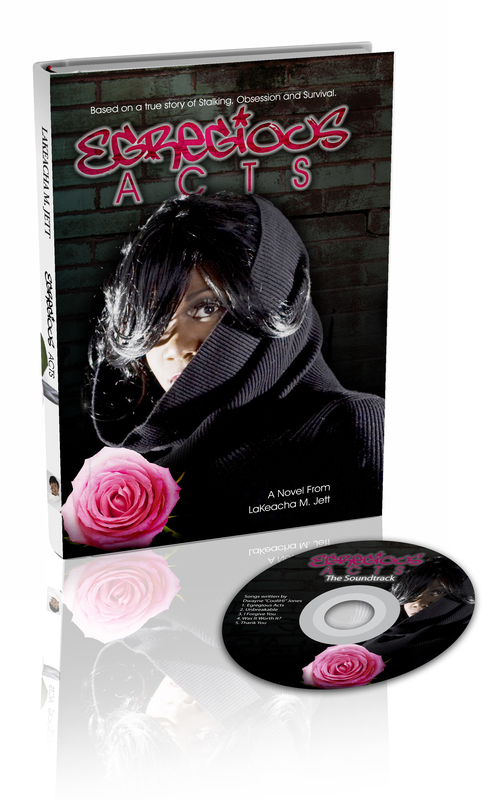 LaKeacha Jett’s Egregous Acts included the cover design of the book and a CD label.